Good news! 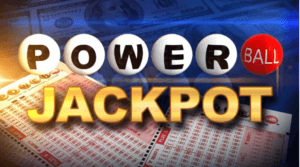 After months of rollovers, the US Powerball jackpot has been finally won! One lucky player matched all six numbers during last Saturday’s draw—which means he/she is now $560 million richer. Should the winner choose the option, the estimated cash value is $358.5 million. The winning ticket was purchased from Reeds Ferry Market in Merrimack, New Hampshire. If you purchased a Powerball ticket from the 100-year-old convenience store last week, you might want to double check your numbers again! A day before the big US Powerball win, the Mega Millions experienced a similar event. Months of rollovers culminated in a big $450 million win during last Friday’s draw. And, just like the Powerball, only one ticket—which was sold in Florida—matched all six numbers! Should the winner want, he/she can opt to receive their prize as an annuity—which will be paid out over the course of 29 years—or as a lump sum. If the lump sum (a.k.a. cash value) option is chosen, the winner will receive $281 million. 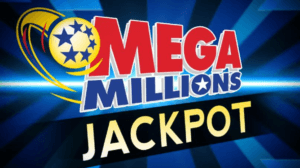 Did you purchase a Mega Millions ticket for the January 5, 2018 draw? Better double check your tickets, if you did! In other Mega Millions news, there were a total of 8 winners of at least $1M during the same draw last week. Two of those second-place winners activated the Megaplier, which meant that, instead of $1M, they took home a cool $3M each. For the National Lottery Lotto, the winning numbers were 18-28-31-32-44-51, with 50 as the Bonus Ball. Meanwhile, the Lotto Millionaire Raffle winning code was PLUM 5831 5190. Finally, the winning numbers for the Thunderball were 04-06-16-24-34, with 02 as the Thunderball. A woman from Dublin, Ireland recently found a winning €1 million Euromillions ticket during a post-Christmas cleanup at her home. The forgotten ticket—which was for the October 27, 2017—was purchased during a weekend break last year in the town of Carrick-on-Shannon in County Leitrim. The winner, who wishes to remain anonymous, usually buys a Lotto or Euromillions ticket for luck whenever she is on a trip down the country, but—for whatever reason—she simply forgot about her latest purchase. Thankfully, it came up when she was cleaning her house not long after Christmas. She scanned the ticket using the National Lottery app on her phone and, lo and behold, it showed that her ticket is one of the winners of the draw and that she needed to contact the National Lottery. She was told that she was one of the winners of the €5,000 Ireland Only Raffle prize, which lead her to think that she would only go home with €5,000. But, the National Lottery official she was talking to on the phone told her that she had won €1 million! What a way to start the new year, huh? The winner of the December 29, 2017 Euromillions draw has yet to come forward to claim the €38.9 million jackpot. The winning ticket was purchased in The Village Shop located at Malahide, Dublin. The National Lottery recently issued a statement urging Dublin players to double check their tickets. “We advise anybody who has this ticket to keep it safe until they can get into the National Lottery office,” the statement from National Lottery read. 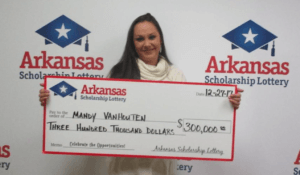 Arkansas resident Leslie Underwood recently filed a lawsuit against her colleague, Mandy Vanhouten, alleging that the latter spirited away her half of a $300,000 lottery prize. The two had an understanding that they would split any prize should any of the scratch-off tickets that their boss gave them last December 22 win. However, after cashing in the winning ticket, Vanhouten pulled a disappearing act—never turning up at work again. Pictured: Mandy Vanhouten, the accused. Pulaski County Circuit Judge Chip Welch has yet to decide whether Underwood is entitled to half of the winnings or not. Underwood’s lawsuit, however, is asking that the judge place half of the prize in a bank account supervised by the court until the judge has come to a decision. So far, there have been no scheduled hearings.